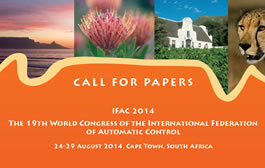 The 19th World Congress of the International Federation of Automatic Control (IFAC 2014) was held in Cape Town, South Africa at the Cape Town International Convention Centre from 24 to 29 August 2014. Two days of pre-congress tutorials proceeded the five-day congress that saw over 2100 delegates attend the Congress, which was themed “Promoting automatic control for the benefit of humankind”. The proceedings of the 19th IFAC World Congress can be found here. It is my great pleasure to invite you to the 19th World Congress of the International Federation of Automatic Control, taking place in Cape Town, South Africa. The theme for the Congress is “Promoting automatic control for the benefit of humankind”, as encapsulated by the vision and mission of IFAC. You will join delegates from across the globe at a gathering that offers us the opportunity to step beyond our regular networks and meet colleagues from around the world while we present, listen to and discuss the latest work in Automatic Control. To date, the triennial congress has operated on two levels – to promote dialogue and debate within the profession, and to promote the development of the profession within the wider engineering and related communities. We hope to achieve both objectives at the 2014 congress by addressing all the topics covered by the IFAC Technical Board, and by providing delegates with opportunities to interact with funding agencies and potential industrial employers. 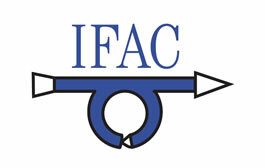 IFAC 2014 in Cape Town will provide the perfect environment in which to not only stretch yourself intellectually, but to develop as an academic or practitioner and extend the networks that will support you in your future career and research ventures. Apart from an interesting and stimulating programme there will of course be time to explore beautiful Cape Town! Take the opportunity for shopping at the nearby Waterfront, a trip by cable car up Table Mountain, visit the world famous Kirstenbosch Botanical Gardens, or a visit to a winery for wine tasting. There is plenty to interest everyone. I would like to invite you to register for the congress and take advantage of the opportunity to travel to South Africa and experience this beautiful country. You are invited to submit original papers covering the broad spectrum of topics in Automation and Control spanned by IFAC; papers should be of high quality in accordance with the tradition of previous IFAC World Congresses. 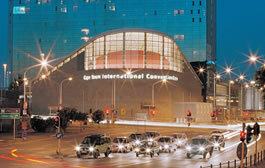 Ideally located on Cape Town's foreshore the central business district and leading hotels, the CTICC is an exceptional facility that meets the expectations of delegates and organisers alike. 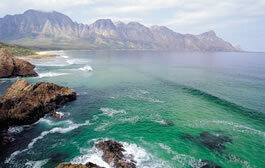 Situated on the tip of the African Continent, South Africa is exceptionally diverse for a country of its size. South Africa is often portrayed as the world in one country. The International Federation of Automatic Control, founded in September 1957, is a multinational federation of National Member Organizations (NMOs).